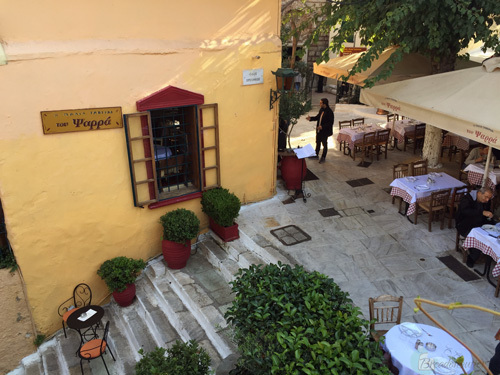 We visited Athens on the last week of October for a mix of personal business and pleasure. The city is great for a quick getaway not far from home (1h15 flight). 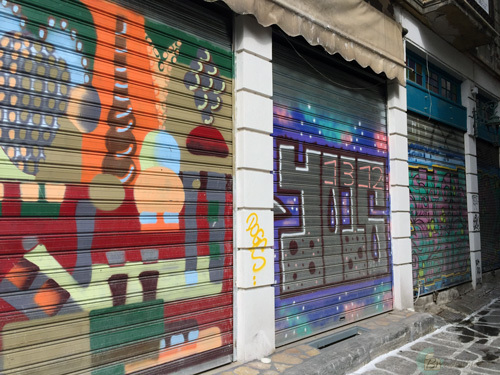 As we planned our trip before our departure, I still had in mind the Athens I once knew as vibrant, full of life and happy people, and in keep-up with trends. In my head, it was still a mix of Beirut and organized European countries. The last time I was there, it was 2013. The economic crisis had just hit but it wasn’t quite obvious yet. This time around, it was pretty palpable. What the economy had done to this vibrant city was a complete shock. But! Despite the dreadful truth, we had lots of fun – as usual. We’d made a list of restaurants, bars, markets, and small things I wanted to show Jean. I’ll list our itinerary next time. 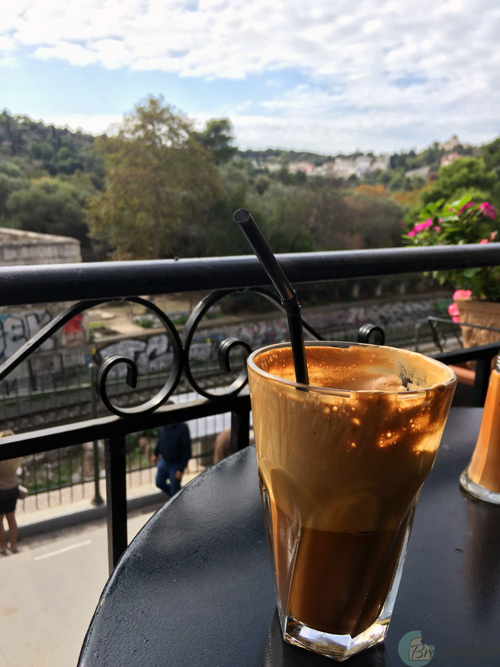 For now, I’d like to add Athens to my series of “20 Things Cities”, as there are still charming things you wouldn’t want to miss. The change of guards. Always on time, all the time. Same costume, same dedication to their country. Glyfada. 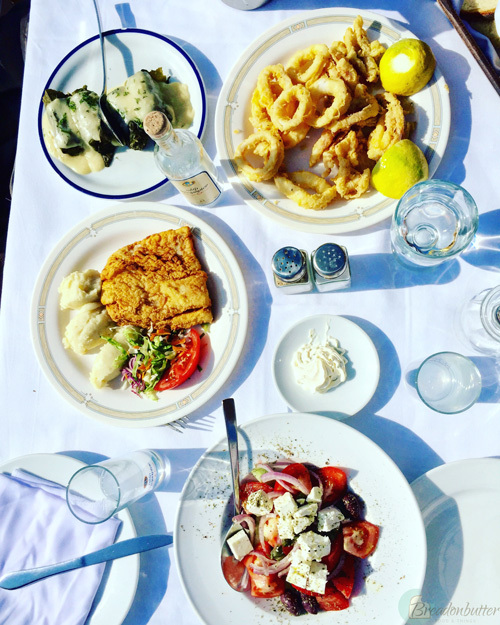 A good 30-minute drive away from the center, Glyfada is what they call the Greek Riviera. It has great coffees by the sea and amazing restaurants. Kolonaki. 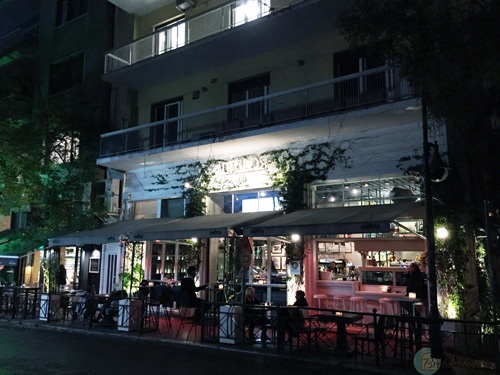 Maybe the trendiest neighborhood in Athens, Kolonaki is a bit like Paris. It is full of nice cafés, where people sit and literally watch others pass by. If you like fashion, you’re in for a treat. The gyros. Those of you who have tasted gyros will understand. Those who haven’t, hurry up! Really. The yogurt kebab. No matter how hard I try to make the recipe at home, it somehow fails to be the same. The taverns. Full of life, music and bon-vivants, they’re guaranteed to bring back hope. The Central Market. Chefs and Cooks, this is the place to go. It made us wish we had a kitchen right then and there so we could buy the amazing produce and start cooking. The Acropolis, watching over you almost everywhere. I’ve seen it oh-so-many times but it will always be fascinating. Plaka. I like to think of it as one of the untouched places in this world, that will gracefully last from generations to generations. Psyrri. 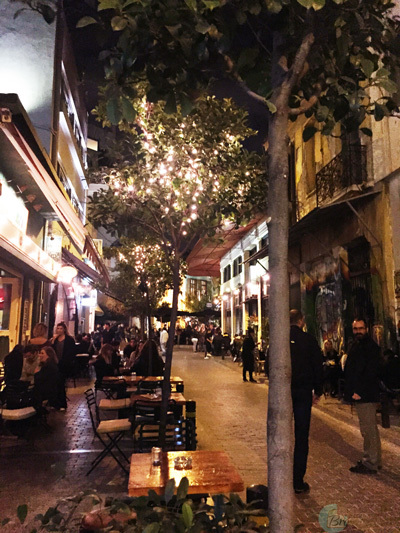 The hipster street in the heart of the city is the best for long and lazy drinks. Their mezze. 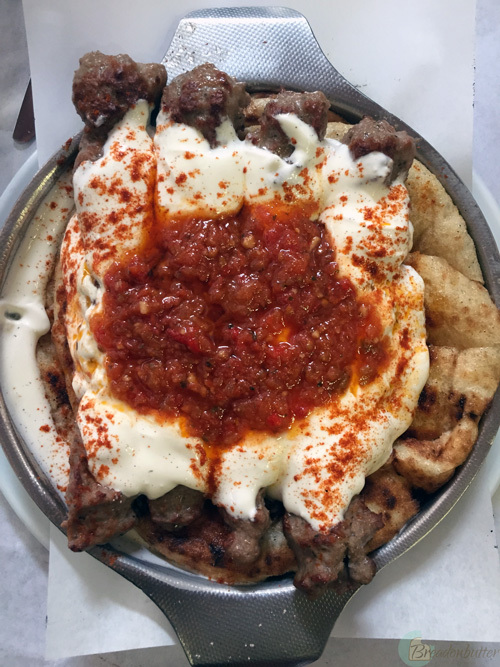 Yes, it might top the Lebanese mezze. I mean, have you tried their fried calamari? Rooftops. They’re everywhere and they’re all magical. The Acropolis museum. I’m very into Greek History and culture so I enjoy the Gods and Goddesses in sculpture form. Korres. THE country’s natural beauty products place to visit. Read about them here. I’ve been hooked to their milk face soap for years! 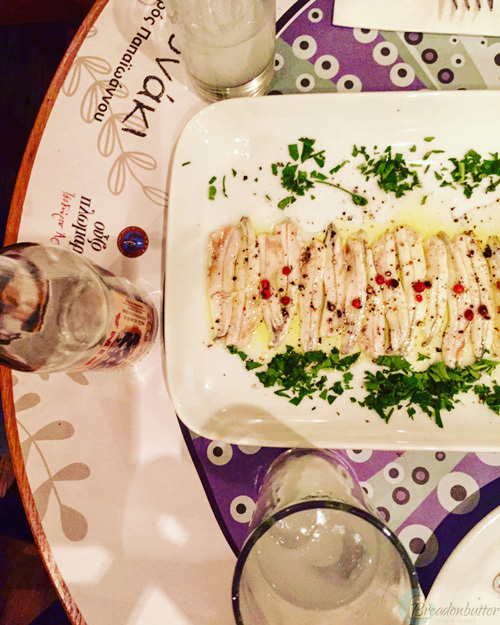 Barbounaki restaurant. A must try. I’ll write more about this place soon. The graffiti. It’s everywhere and it’s nice to look at. The cafés. 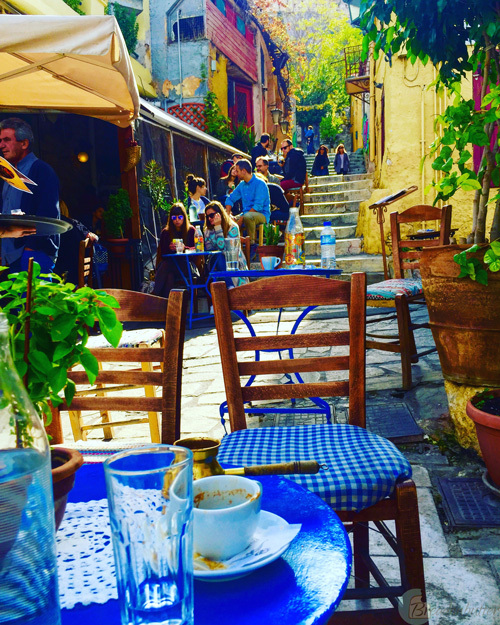 Greeks are known for their lazy afternoon coffees. 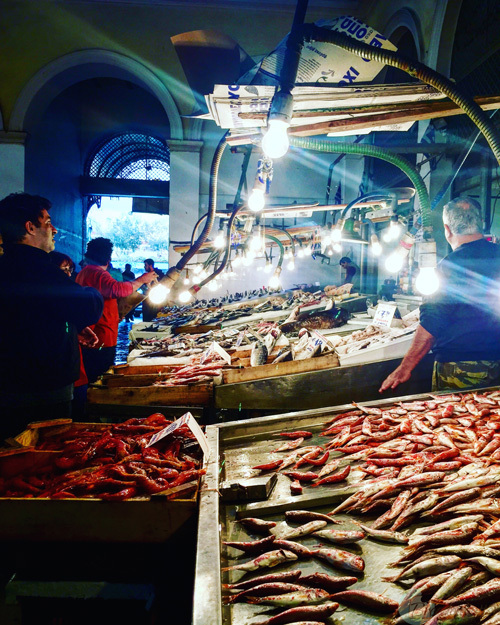 The traditional markets, still preserved. The preserved old heritage (churches and streets in the center). It kind of keeps the invasion of cosmopolitanism at bay. Balux Café. 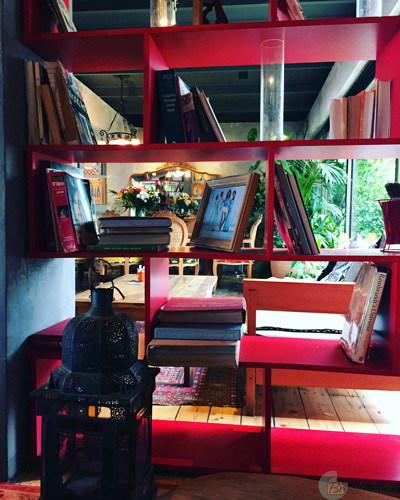 Let’s just say, if we had a place like that to hang out at in Beirut, I’d be there almost every day. Have you been to Athens? Would you add something to the list? I’d love to hear!